Using basic white magick spells you can enhance your life in many ways by gaining prosperity, a new romance, a healthy mind and body, plus much more. While many rituals are too complex for a beginner, these simple candle spells can be performed by anyone, and have a high success rate even for new casters. 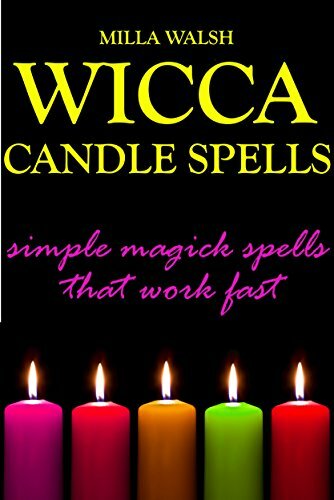 Wicca Candle Spells: Simple Magick Spells That Work Fast by established author and witch Milla Walsh has been created specifically to help a person achieve results with their magic as simply and easily as possible. Using these spells, you will know exactly what you need to cast a spell, when to cast a spell, and how to do it right. Easy to follow instructions guide you through the casting process for spells of all types such as blessing, curse breaking, spell reversing, healing, and negativity release. In addition to simple ritual instructions that are followed with ease, spell ingredients necessary to perform magic are cost efficient and easily obtained worldwide.